'The Devil's Saddle' - an amazing spot of Sardinia! I hope you have kept yourself wrapped and warm during these last days! Click on the images to see them enlarged...and have a look at these amazing natural combinations! I hope you enjoyed this little peek in one of the most Biodiverse spot of Cagliari, my birthtown. If you enjoyed the pictures of this post, please feel free to share them on Pinterest and to leave a comment. In the meantime, let me bring you in the middle of a warm and colourful spring by suggesting the lovely Julie's serie on Chanticleer Garden. 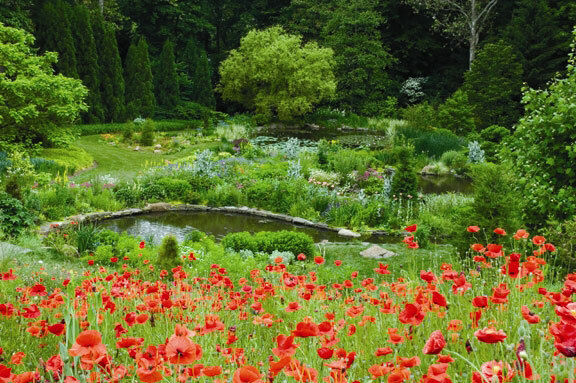 Mother of three and talented gardener, Julie is sharing with us her visit to one of the most appreciated garden in USA. Have a look, I am sure you will love her enthusiasm and that you will find plenty of inspiration among her great pictures! Have you ever had the pleasure to visit it? Or is there a special garden you would recommend us?